The SEBO 9688AM Airbelt K3 Canister Vacuum is SEBO’s premium multi floor canister vacuum with 2 floor tools. 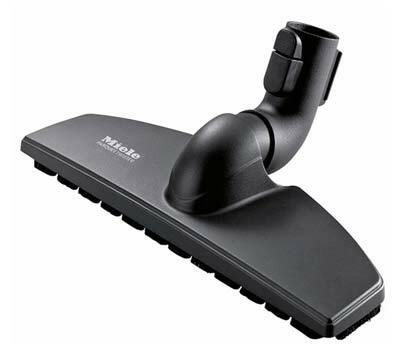 The K3 Series features a sealed air system so that no dust escapes. The German engineered SEBO 9688AM is built to last many times longer than cheaper canisters. It is lightweight, weighing only 12 lbs. SEBO vacuums are quiet compared to other canisters (they are sound insulated). The included S-Class Filter provides hospital grade filtration, and outputs air cleaner than the air it takes in. This keeps the dust and dirt in the bag and out of the air you breathe. Great for allergy sufferers. The high grade S-class Standard filter absorbs greater than 99.9% of particles down to 0.3 microns in diameter. The top fill bags have 3 and 4 layers to ensure strong suction, as dirt and dust enter at the top. The bags can be sealed when full, so no dust escapes. A Suction adjustment slider switch is located on the handle and can adjust from 0 to 1250 watts of suction. This allows you to power down on drapes, and delicate rugs. The Airbelt bumper system protects your walls and furniture when you bump into them. The included Parquet Hard Floor Brush allows you to vacuum hard floors. The brush has soft bristles that won’t scratch hardwood floors. SEBO ET-1 Motorized Powerhead: The SEBO 9688AM K3 canister has one of the best designed and powerful powerheads available for canister vacuums. The ET-1 being motorized is excellent for Pet Hair Removal. On the powerhead is a rotary dial for 4 levels of height, allowing you to vacuum high and low carpeting. The brushroll is easily removed with ease. A clog door makes it easy to remove a clog, should one occur. An indicator light on the ET-1 will alert you to full bag, a clog, or dirty clogged filter. A bypass valve automatically opens when a clog is detected to protect the motor. Rubber coated wheels, won’t mar floors. Total Reach: 37 feet (25 foot power cord). Vacuum Warranty: 5-year motor; 5-year warranty (non-wear) vacuum parts and labor. Smart-Review Commentary: The SEBO 9688AM Airbelt K3 is one of SEBO’s top canister vacuums which comes with 2 floor tools and a sealed filter system. The ET-1 motorized powerhead is one of the best engineered and designed tools for canister vacuums. 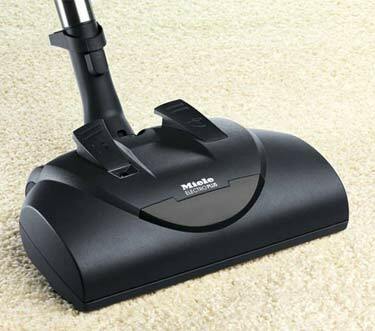 The ET-1 has a motorized, making it effective at removing pet hair, and vacuuming low & high pile carpets. 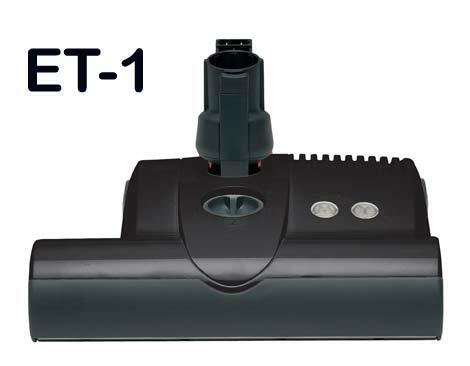 The ET-1 is designed to be easy to remove the brushroll to clean, and if you ever get a clog, there is a little access door under the head to easily remove the debris. 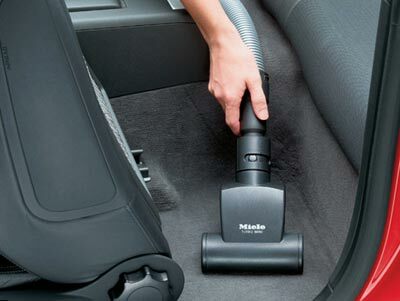 The S-Class filter and multi-layer dust bags used on this vacuum are ideal for those sensitive to dust or have asthma. The bags have a large 3.5 quart capacity. The self sealing bags are designed so that you won’t have to be exposed to the dirt, just throw the bag away in the trash. Rubber wheels won’t mar or scratch hardwood floors. The British Allergy Foundation recommends SEBO filters for users with allergies. 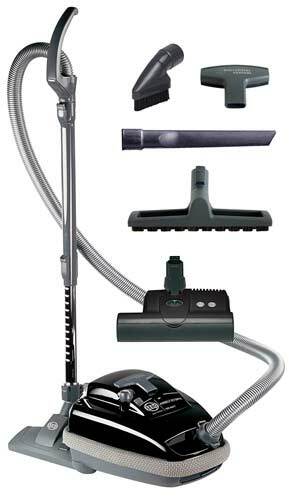 The durability of this vacuum is excellent, as all SEBO vacuums are made to last. Tug and Retract Cord Rewinder. Its telescoping wand and hose gives you a long reach to clean stairs, walls, drapes, and ceilings. Low reach for under furniture and beds. SEBO vacuums are known for keeping the air cleaner than other brands of vacuums. Sound insulated for super quiet operation. This model has received extremely high marks from professional reviews as well as outstanding reviews by consumers. This model is a Smart-Review top pick for Canister vacuums ideal for hardwood floors, bare and tile floors, and low/high pile carpets.